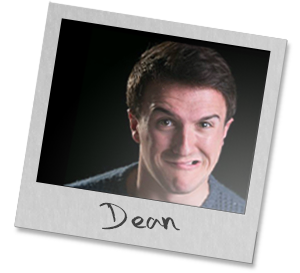 Shane joined the group 13 years ago and has been involved in many of our productions in the intervening years. He has played many roles in Sam Cree comedies and has taken a keen interest in the Academy directing productions and this year directed their production of Andrew Lloyd Webber’s “Evita” with great success in June. Richard is a founder member of the group and has directed and acted in hundreds of our productions during the last 45 years. His penchant is for comedies and excels in the Sam Cree genre. He has played in every full length play by ulster’s favourite author and has become synonymous with Belvoir Players reputation. Rachel has been a very active member of the Academy for many years now and has performed many roles throughout the years ranging from ‘Fantine’ in Les Miserables to the ‘Eva Perón’ in Evita. She has recently taken over the role of choreographer for the our productions. Rachel excels in every role she undertakes either in comedies or more serious parts. A graduate herself from our Theatre Academy, she now tutors and directs the juniors in their annual productions. Her directing talent was well demonstrated with the hugely successful and popular Seussical the Musical. Wilson is the company Musical Director and has been with us since 2009 and has helped the group to develop musically. Wilson has worked with us on shows such as “Les Miserables” and “Evita”. Wilson comes with plenty of experience and has served as Musical Director for the Grand Opera House. Olivia has been with us now for over 25 years and has undertaken all roles available to her, working both backstage and in the limelight. Olivia regularly assists with our splendid Academy productions most recently “Seussical”. She has been a key member of the Academy team since its creation in 2000. Mark joined to help back stage with our annual pantomime and went on to play the chronic patient ‘Ruckley’, in our production of ‘One Flew over the Cuckoo’s Nest’. He wrote our 2012 pantomime ‘Jack and the Beanstalk’ as well as playing the part of Silly Billy. Robbie joined our ranks a number of years ago as an academy member and has since graduated from the academy and is now studying drama at Magee. A dedicated member of the company he has helped out with a lot of our productions from backstage to helping with the choreography of some of the shows. I began my journey in Belvoir Players Academy aged 6. I am now a Professional Actor in London, having trained at Guidlford School of Acting. Belvoir provided me with the solid foundations and skill sets required for this type of career, but can also offer so much value even outside of a performance career. Belvoir provided me with confidence, social skills, rehearsal etiquette as well as a place for my imagination, creative flair and performing skill set to flourish. I will always refer to Belvoir as home and am glad to return occasionally as a leader to pass on my professional experience. Michael has been the Belvoir Players Stage Manager for many years and his role has become his full-time job for the past five years. Michael creates and builds all our sets and takes charge of all our ‘get-ins’ and strikes during our many and varied tours. Everywhere we travel Michael’s expertise and charm endear him to the most inflexible professionals. Margaret joined Belvoir Players 14 years ago and has been a member of the costume department for almost all of the time. For the past 11 years she has been wardrobe mistress looking after the costumes for all of our shows as well as dealing with companies wishing to hire from us. She provides excellent leadership which can be seen year on year in our productions. Sheila has been a member of the costume department for many years now. Sheila looks after the design and manufacture of all of the costumes and is responsible for a lot of the costumes that have wowed audiences. The costumes that she has made range from a Panto Cow for Jack and the Beanstalk to Baloo for the academy’s production of the Jungle book. James joined the Academy 14 years ago at the age of 7 and has been involved in many of our productions ever since. For 9 years now James has been looking after the technical side of most of our productions providing expertise and assistance to directors. He also works with many of the companies that use the Studio providing technical support. Sandy joined the Academy 14 years ago with his brother at the age of 5. For the past 9 years sandy has been providing technical assistance and lighting design on most of our productions. Having throughly enjoyed his time as a member of the technical team Sandy is now currently studying Technical Theatre at The University of Derby. Bob is Belvoir Players resident Technical Consultant. Having worked in the Technical Theatre industry for many years he provides us with valuable knowledge and expertise. His knowledge is invaluable to Belvoir Players and he has been a cornerstone of the technical team for many years, as well as providing invaluable assistance to directors and other production team.